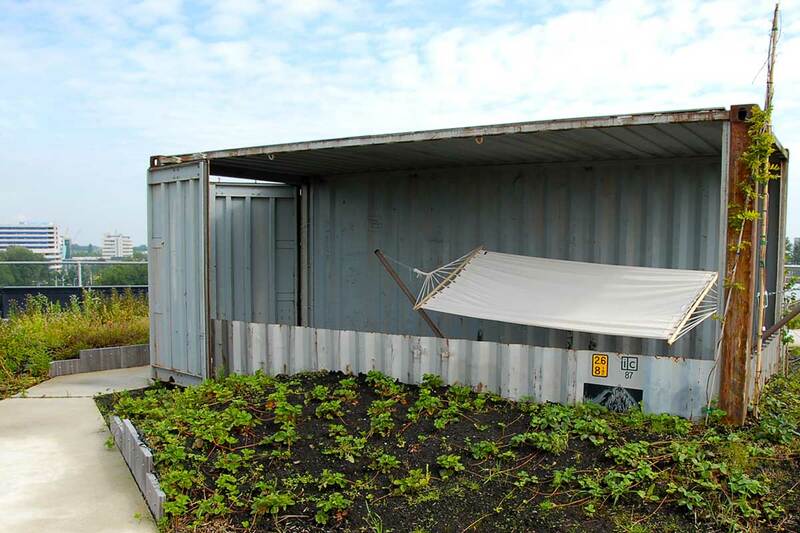 Products: polder roof, fruit trees, vegetable garden, water features, pétanque court, stone panels (wooden industrial boards, used for drying bricks), lightweight concrete and hammocks. 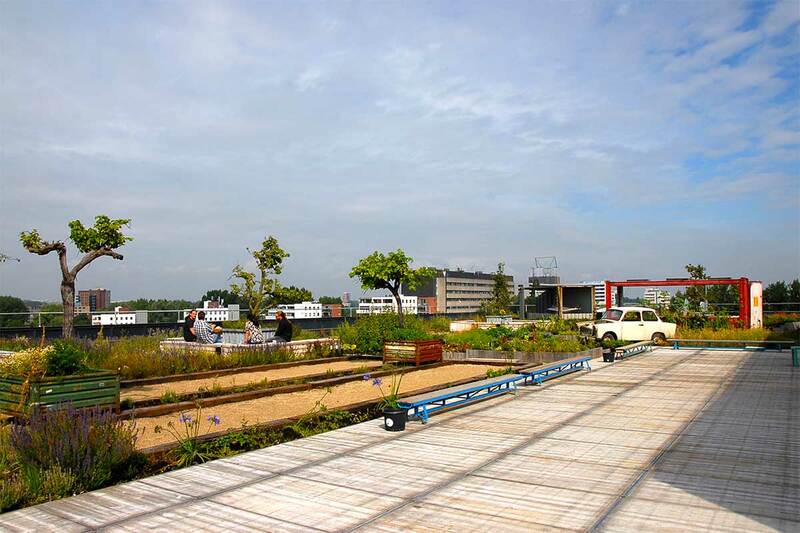 Challenge: Designing a rooftop garden for startup company B. at the Johan Huizingalaan in Amsterdam West. 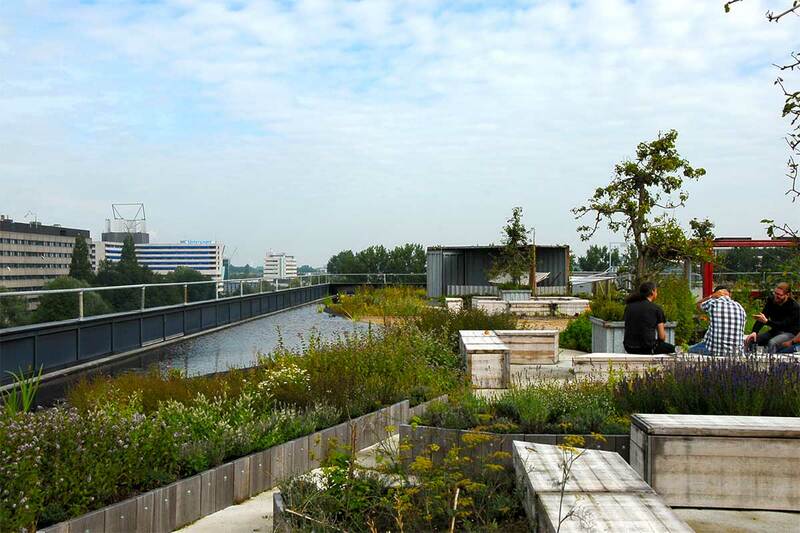 The goal was to create an elevated park, a place accessible to all office workers for relaxation, for breaks and for meetings. 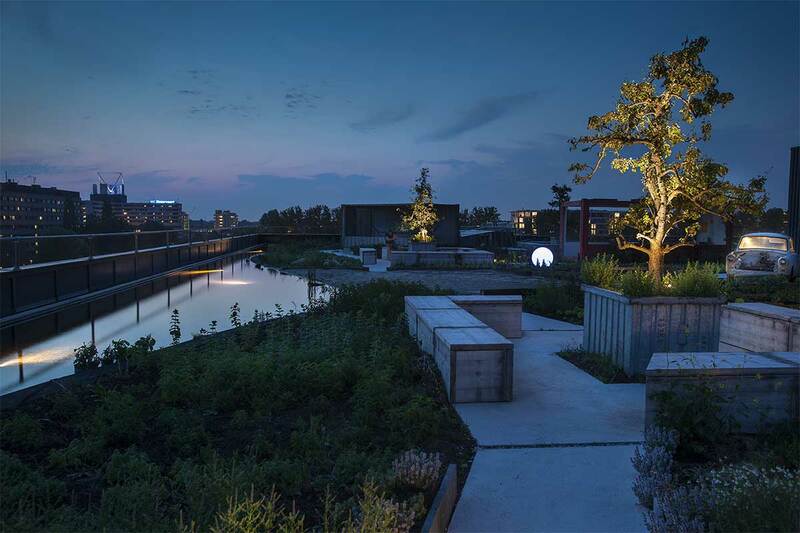 Result: A beautiful, edible park of 1500m2, the first of its kind. 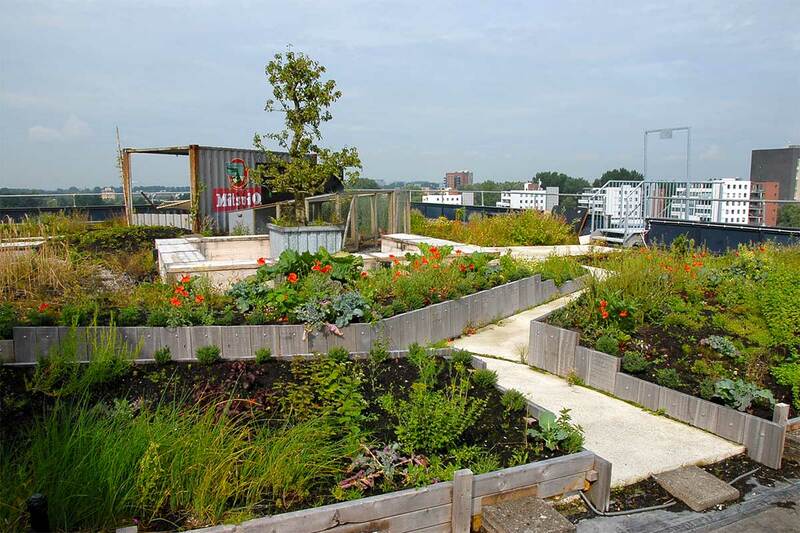 On the roof you will find a water feature, two pétanque courts, a large vegetable garden, fruit trees and a chicken coop. 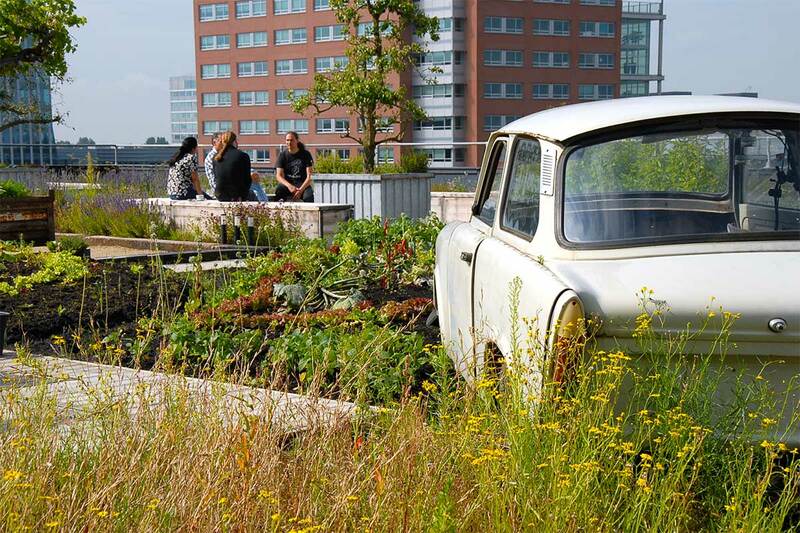 There is outdoor seating and covered seating areas with hammocks for meetings; you will even find two decorative Trabant cars on this roof.